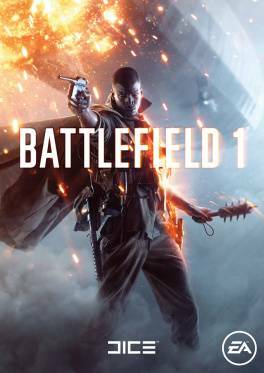 Buy Battlefield 1 for Origin on GGlitch.com | Fast, secure and easy! Fight your way through epic battles going from tight urban combat in a besieged French city to big open spaces in the Italian Alps or frantic combats in the Arabic sand dunes. Discover classic Battlefield gameplay with epic multiplayer and an adventure-filled campaign. Experience the Dawn of All-Out War, Only in Battlefield 1. Fight your way through epic battles going from tight urban combat in a besieged French city to big open spaces in the Italian Alps or frantic combats in the Arabic sand dunes. Experience large-scale battles as infantry or piloting vehicles on land, air and sea, from the tanks and bikes on the ground, to bi-planes and gigantic battleships. Discover a new world at war through an adventure-filled campaign, or join in epic multiplayer battles with up to 64 players. Adapt your tactics and strategy to the earth-shattering, dynamic environments and destruction.